I’ve always been an overprotective mother going right back to when my girls were born. Bridget was my most recent child and I remember being very conscious about keeping her environment clean. I always cringed when someone would ask to hold her and I didn’t know when they last washed their hands or if they just had a cigarette. Of course, I thought that was just me being hypersensitive, but I now know that I was right to be vigilant in protecting my baby from germs. One of the biggest threats to babies is something called RSV (Respiratory Syncytial Virus). 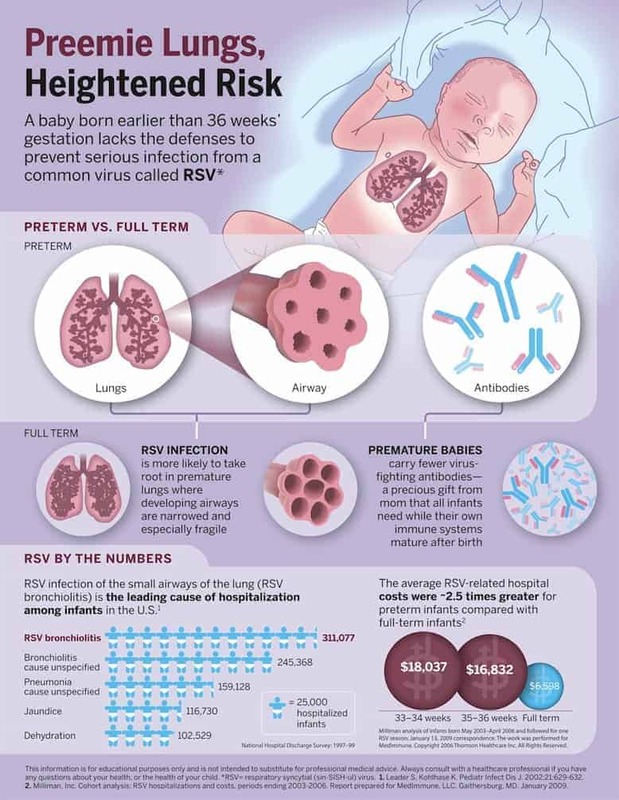 I’d never heard of RSV until now, but I think it’s important information to share with everyone whether you are a new parent or someone visiting a young infant. Since babies (especially preemies), are very susceptible to infection for the first few weeks after they are born, it’s important to keep their environment as germ free as possible. RSV is actually very common and can be spread easily since it can live for hours on surfaces (like doorknobs, furniture). It can even be spread through touching, hugging and kissing! In fact, my daughters more than likely already had RSV since almost 100% contract it by the time they are age 2. It may not have been that big of deal to them, BUT it poses a serious risk to very young babies (especially preemies) and can lead to a serious respiratory infection. In fact, RSV is the cause of 500 infant deaths each year! Please share this post to help spread the word about RSV and keep these tips in mind on your next visit with a young baby. These simple measures could potentially save a life!